FWP reports that a Lewistown man was found guilty on three misdemeanor criminal charges in a Blaine County bobcat trapping case. 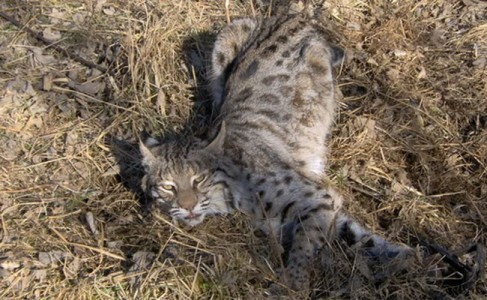 In November 2011, FWP reported, they received a call about an illegally trapped bobcat before the season even started. FWP discovered the trap belonged to a Lewistown resident, Doug Foster. They also discovered there were off-road vehicle tracks in a restricted area. Montana trapping regulations require a trapper to report, within 24 hours, the time and location that the bobcat was harvested. The trapper must also present the pelt to an FWP employee within 10 days of harvest. According to FWP, Foster never reported the animal and was charged with four misdemeanor counts. In May 2012, The Blaine County District Court found Foster guilty on all charges. Foster appealed the ruling and asked for a trail. Foster is expected to pay $700 in fines, $105 in court surcharges, and $300 in restitution for the pelt. Also, court records show Foster lost his Montana trapping privileges for two years.